Qiu Photography were the photographers for two of my events, Mehndi and wedding, and they were absolutely amazing! Of all the vendors I have dealt with in the process of planning both my events, they were the best one! They are very professional friendly, flexible and understanding. I was always able to reach them right away if I needed something! They captured both of my events without a flaw! They put so much effort into each photo, things that other photographers wouldn't do. For example, when they were taking my pictures, they would fix my jewelry if it was out of place and fixed my groom's hair if it wasn't right before capturing the photo to make sure each shot is perfect. They are very patient and always went above and beyond to make us happy! They did things that they didn't need to do just to make sure everything was perfect! The quality of the photos are amazing! Words cannot describe how beautiful they are. I absolutely loved all my pictures! They captured all the perfect moments and the final product was just amazing! I've received comments like "Your photos look like they belong in a magazine cover! ", that's how gorgeous they are! I highly recommend Qiu photography to everyone for any event, trust me you will not regret them! If you want amazing pictures Qiu Photography is definitely the right photographer! I will definitely be hiring them for my future events! Thank you Qiu Photography for all the beautiful pictures and capturing my special day with perfection! I just wanted to say thank you for doing such an amazing job at our wedding. I remember my wedding in real life but when I look at the shots you took it was truly breathtaking. We received so many compliments about different aspects of our wedding but photography was the one we heard the most about. The compliments weren’t just about the pictures but rather how professional you and your second photographer were the entire time, everyone said you were so friendly. You were extremely accommodating, helpful and reliable. I never had to search for you once at the wedding. I saw how you treated sensitive situations with politeness and I appreciate that. Prior to booking with you I had spent literally HOURS looking through your website; I even shifted my wedding date to accommodate your availability. If there is one thing I am sure of about my wedding is that booking Qiu Photography was one of the best decisions I could have made. I used the pictures for everything and never get tired of looking through them. You are so good at what you do, I wish you all the best and success in the new year. When any of my relatives decide to get married I will be pointing them in your direction. We booked Qiu Photography for our South Asian Wedding. Joy was amazing. I can not express how wonderful she was. We are so impressed with the quality and quantity of photos. They are stunning. We are equally impressed with her performance on the day of the wedding. She arrived on time, moved people around in shots to make photos look better and more aesthetically pleasing, she made sure I got every single family shot I requested, she fixed ties, pocket squares, even my jewellery before taking shots. Girls - she even coached me on how to walk down the aisle for my entrance!! One of the most incredible things that Joy did: she noticed that my tikka flipped during our family shots. She stopped, fixed my tikka and re-did ALL of our family shots with the tikka in the correct position. This is a testament to her attention to detail. She sent us a link to uncompressed files, which is what we asked for and also sent us a set of DVDs. Wow, Qiu Photography, we can not thank you enough. Qiu Photography was a complete GOLDEN find during our wedding planning process. Their sweet and easy-going personality is exactly what you want for your wedding day. Qiu Photography was wonderful right from the day we first met them, to our engagement photos and then finally to our wedding day. We were so happy with how they were able to capture the day, and our friends are already clamouring to book them for their own weddings. Thank you Qiu Photography for everything and we cannot wait to see the rest of our photos! Qiu Photography was an absolute pleasure to work with - extremely professional, calm, and collected - exactly what you need on a hectic wedding day. We were a little anxious as we had planned our entire wedding remotely in Toronto from the US and had communicated with most of our vendors only through phone/email. However, Qiu Photography handled the photography of the wedding ceremony and the reception with perfection and needed minimal direction in their work. The delivery of the photographs was within the stipulated time frame and we are absolutely thrilled with the results! Words cannot describe how grateful we were to have chosen you to capture the memories of your wedding day. We absolutely love our wedding album! From our engagement photos to the sneak peeks of our wedding day, we were blown away by your amazing work! The photos were absolutely jaw dropping! Your creativity and attention to details are truly next to none. Thank you so much for everything you have done to help give us our perfect wedding day! "There is an old saying, “A picture is worth a thousand words.” The artist that paints that picture can truly leave an everlasting memory and Qiu Photography are great artists that captured the moments of our wedding through their art of photography. Thank you for making our wedding pictures a source of memory for many years to come. Your dedication and passion to capture life’s special moments was not only evident when you were with us but also when we saw the final picture. Your professionalism, commitment, desire to go above and beyond, creativity, and sense of integrity in everything you do makes you truly remarkable. Thanks again for capturing our big day and we look forward to continuing to capture our future stages of life through your eyes." After meeting, speaking and interviewing close to 40 different photographers, we just knew you were 'the perfect one' to shoot our 2-day wedding. We both felt an instant connection when we first met you. With your glamorous shots to natural and unique style of photography, you captured our fondest memories that will last a lifetime. We are grateful for your wonderful professionalism, incredible experience and dedicated organization. We are truly honored to have worked with you on our special and momentous occasion. They say, a picture is worth a thousand words, but your pictures have left us speechless! Can't wait to start the photo album planning...every single photo we've received was shot to perfection, with so much colour, expression and elegance! By far the best photographer in GTA. It was one of our best decision on our wedding to hire Qiu Photography, who was engaging, fun, meticulous, and just have an amazing eye for the perfect shot. You are a very skilled and dedicated individual. I am never searching for any photographer for any occasion. We have a life long commitment now. Thanks once again for making this entire process so enjoyable! We just got a chance to look through the pictures, and honestly, you've done an amazing job! We can see how much effort you put into each picture, and it enhances the whole wedding experience even more. Thank you again for all your work, we are extremely happy with all the photos. It's going to be hard to choose which ones will make it to the album! We highly recommend Qiu Photography since they are professional, creative, and timely. Their work speaks for itself. The fact that they shoot a wedding almost every weekend shows their dedication and extensive fan base. In addition, Qiu Photography has great communication skills, follows up with clients, and meets deadlines (which is unheard of in the wedding photography and cinematography industry). 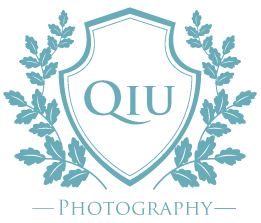 You will not be disappointed with Qiu Photography and their top-notch work! They surpassed our expectations as a wedding photographers and we (and our family and friends) are more than 100% pleased with our final pictures. I would like to thank you for capturing beautiful moments of our life. Your services were simply professional, amazing quality and super friendly. We were absolutely happy with your punctuality and on time delivery of our pictures. I LOVED LOVED LOVED your slideshow and seen already 4 times. Online portfolio made it possible to share pictures with my family without sending them copy. I would recommend you for all future photography services for friends and family. Best of luck and thanks again! The pictures turned out absolutely amazing! Thank you once again! I smile every time I look at them. You are truly talented in your art!